Sunday, October 14 :Pre-dawn until ??? 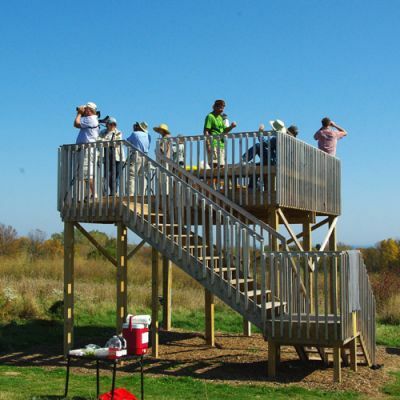 The Western Great Lakes Bird and Bat Observatory will host the FBMP Migrants Team for the 4th Annual Big Sit at the Forest Beach Migratory Preserve Hawk Watch Platform. We hope to beat our 3-year Big Sit average of 50 bird species. Everyone is invited to stop by for a visit during the day.